Anil Kumble is a former cricketer and captain of the Indian cricket team. He regales the audience with team anecdotes and stories; all the while drilling in that there is no substitute for hard work and perseverance. His sessions make for inspiring and motivating talks where the audience leaves charged to take on life with a never say die attitude. One of the greatest players ever to play for the Indian national team, Anil developed an interest in the game at an early age before becoming a professional cricketer himself. He made his domestic first-class as well as international debut at the age of 19. Anil has achieved incredible feats during the span of his illustrious career, which involved a ten-wicket haul against Pakistan. More records followed, eventually leading Anil to become the third highest wicket-taking spinner in test matches, his total tally being a massive 619. As of 2018, he is the third-highest wicket taker of all time, behind Muttiah Muralitharan and Shane Warne. 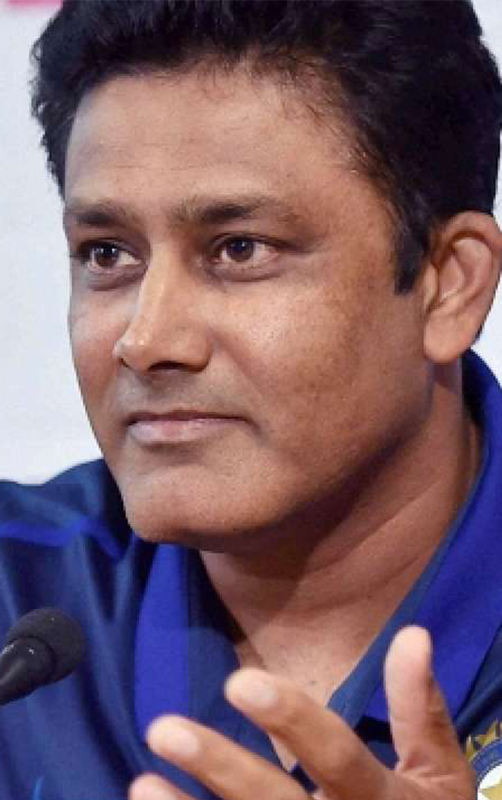 Unlike his contemporaries, Kumble was not a big turner of the ball, but relied primarily on pace, bounce, and accuracy that would often render the batsmen defenceless and Anil unplayable. Perhaps, more striking than his bowling capabilities was his ability to maintain his temperament and lead the team out of difficult situations. It was his calming presence that was instrumental in creating a test team that would become one of the world’s best. Anil retired from international cricket in 2008 creating a void that is still not completely filled. A true gentleman of the game and an architect of victories, his place in sporting folklore was established when he was inducted in the ICC hall of fame, becoming only the fourth Indian to receive this honour.